Excel to Windows Contacts Converter Software is developed to convert entire contact details from excel file to windows contacts. Software provides facility to convert multiple contacts saved in excel spreadsheet into windows contacts. 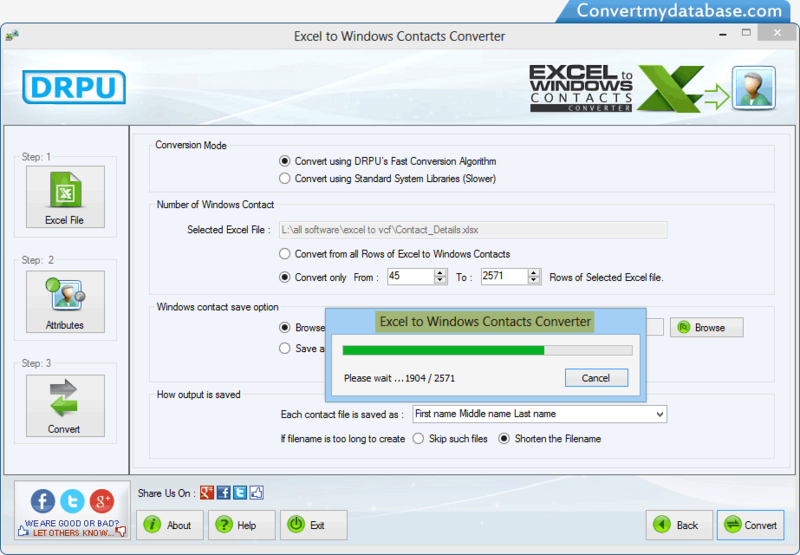 Excel to Windows Contacts Converter Tool is useful to convert all contact field including Name, Phone Numbers, Emails, Address etc from excel to windows contacts. Software converts excel contact information into windows contacts. Provides facility to remove all empty rows and columns from excel file before converting excel contacts to windows contacts. Program supports all latest version of Microsoft Excel. Compatible with all major versions of Windows operating system to convert excel contacts into Windows contacts.